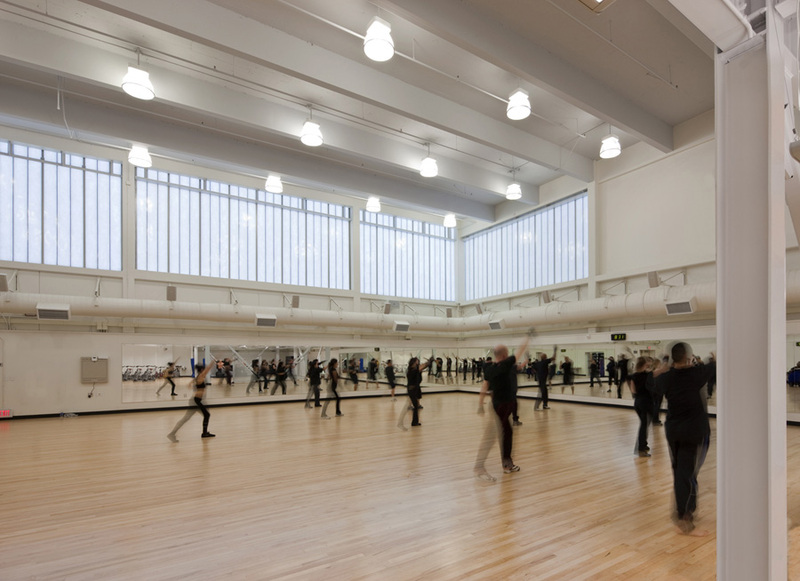 This renovation of a 1960's gymnasium entailed the complete reconfiguration of the interior into new spaces including large excercise / classrooms, a weight room, men's and women's locker rooms, team rooms, physical therapy and faculty offices. 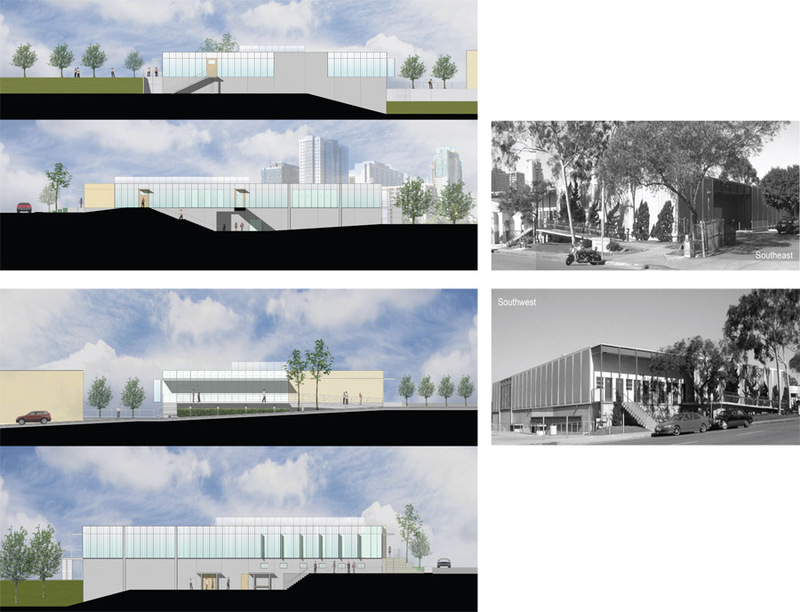 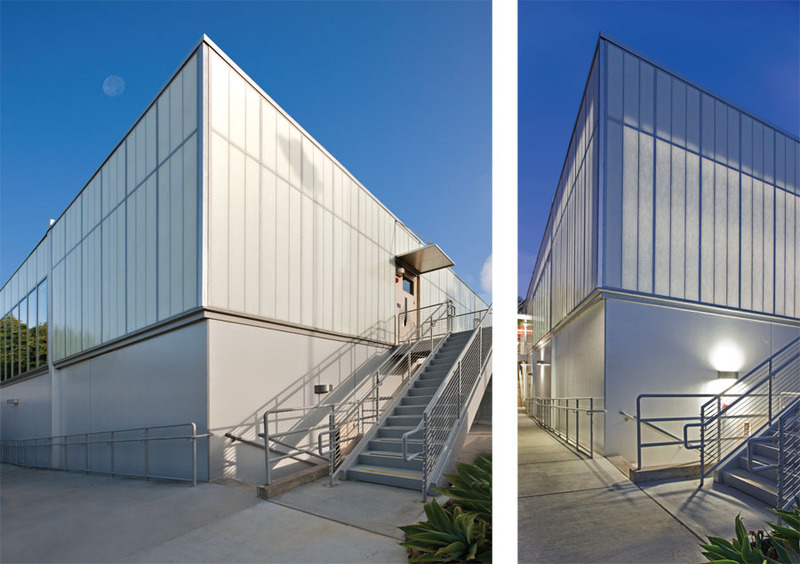 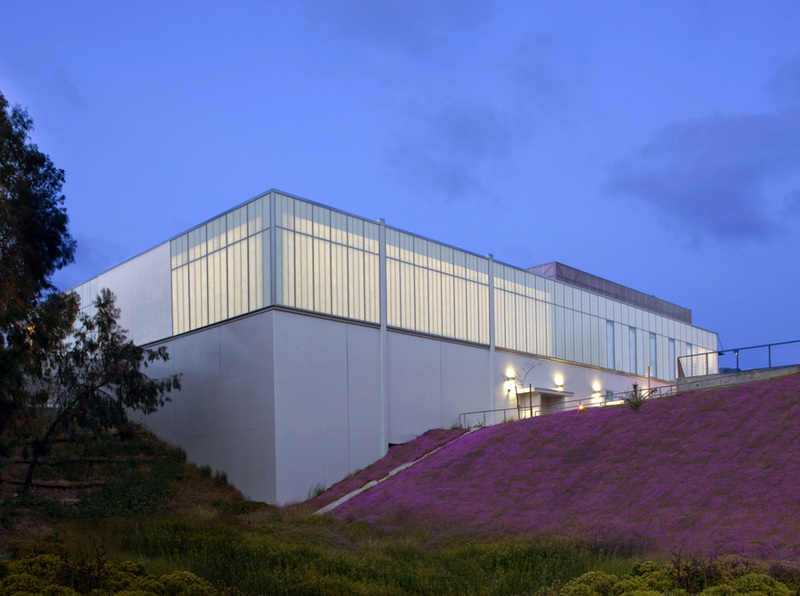 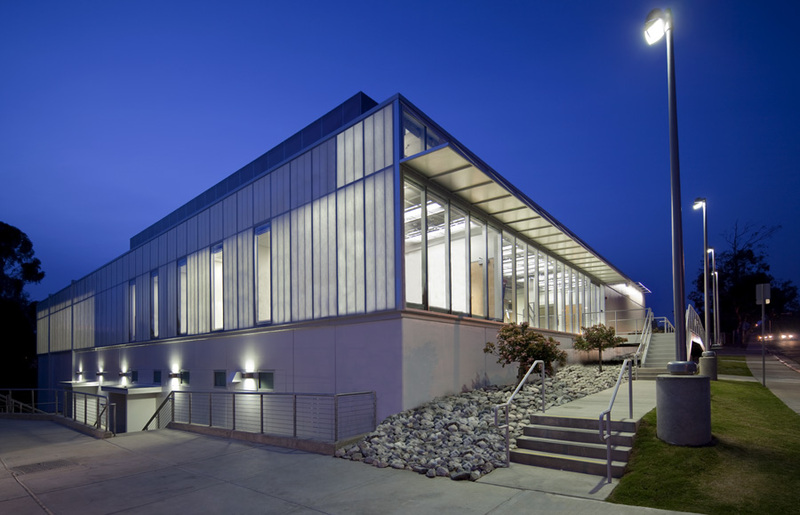 The selective demolition of the existing structure and pre-cast exterior wall panels down to the structural concrete shell & supports enabled a re-skinning of the exterior to a translucent and operable glazed system. 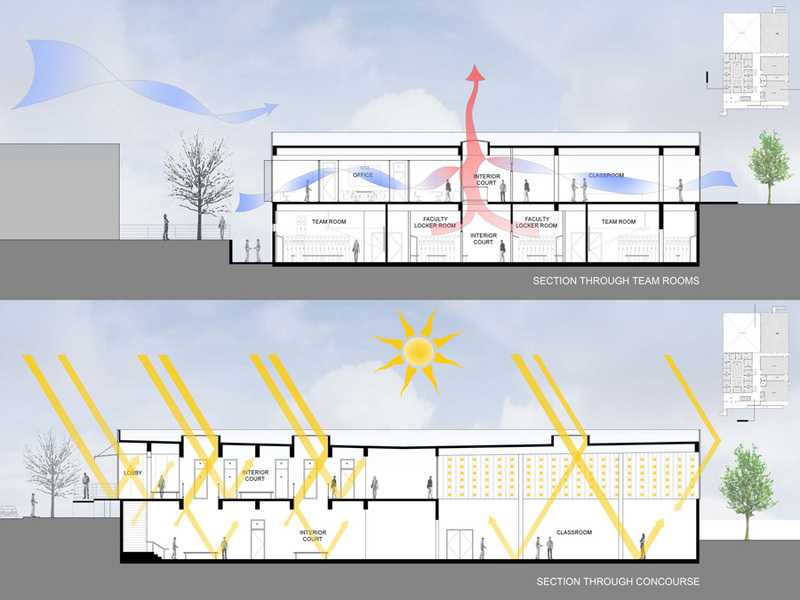 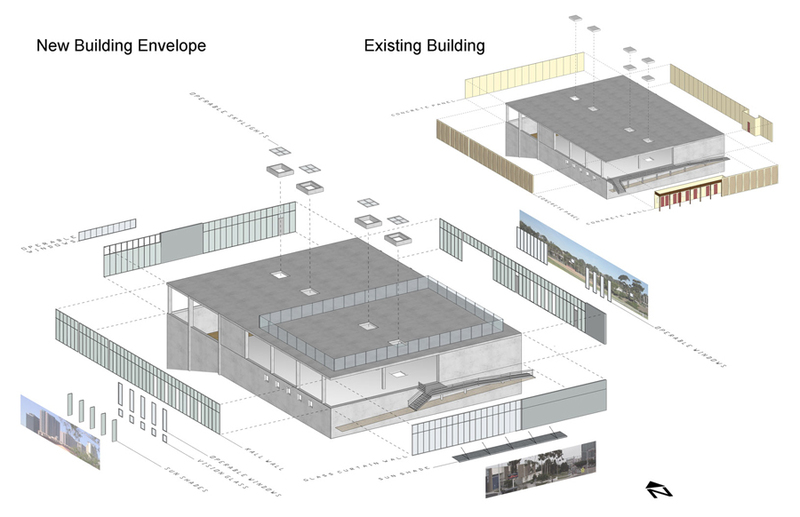 This re-skinning of the classrooms, offices and athletic spaces enables the cool ocean breezes to naturally ventilate the facility, creating an active athletic environment that is conducive to the physical and mental well-being of student, athletes and educators. 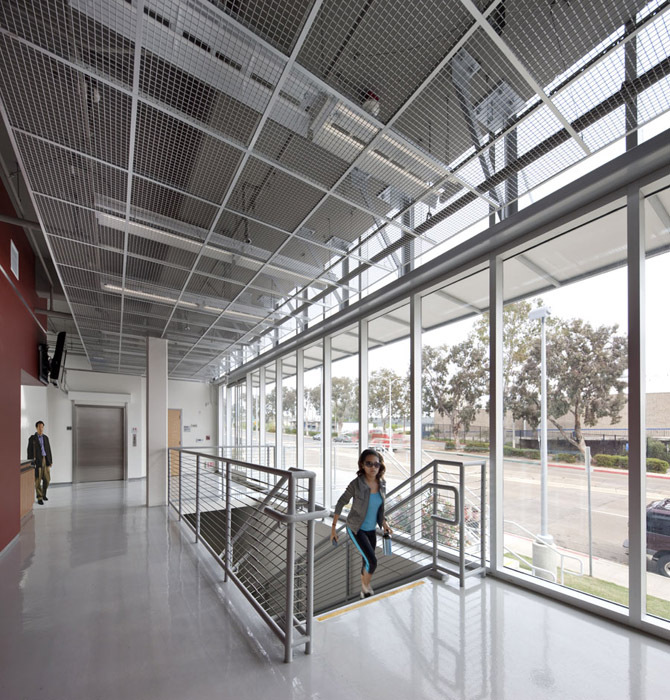 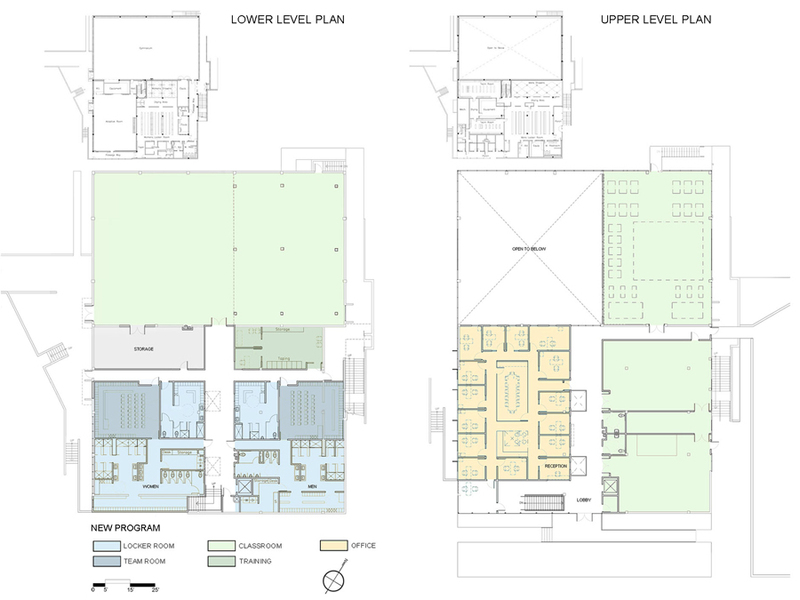 A newly widened interior concourse, skylights and openings between floors and interior windows activate the public areas and give clear way-finding to all classroom and athletic areas. 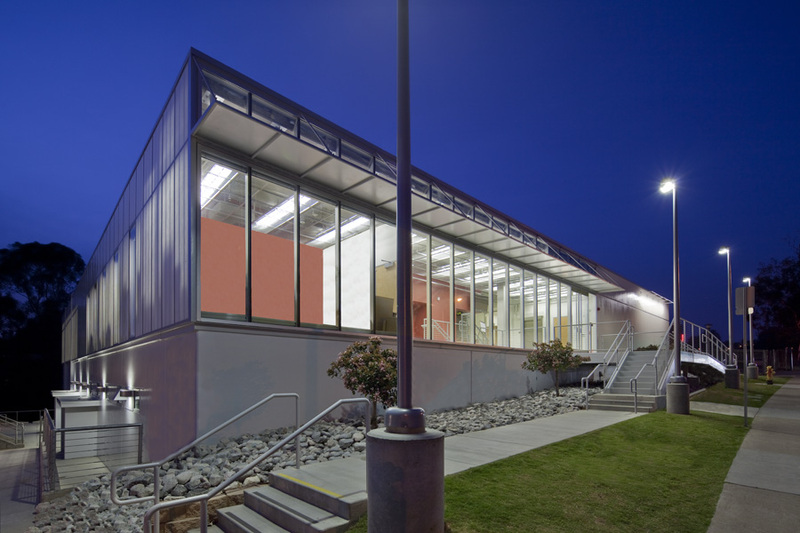 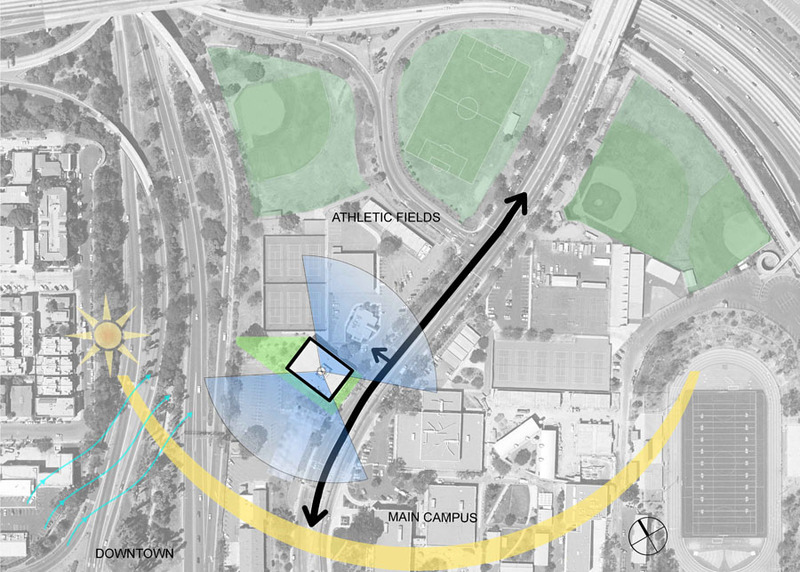 At night the facility becomes a light to the adjacent campus.